When it comes to adding storage space to a bedroom there are many options available to you but if you want something elegant as well as practical a wardrobe is the answer! 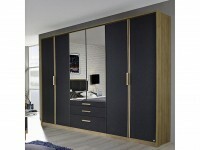 Choose from our stunning selection of contemporary and traditional styled wardrobes. Our range includes two, three and four door wardrobes, drawer wardrobes, combi wardrobes, 2 door combi wardrobes, slider wardrobes and mirror fronted wardrobes – available in many styles and finishes including beech, pine, mahogany, white and gloss finish. 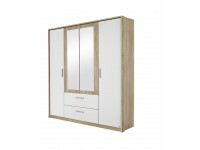 Many of the ready assembled wardrobes stocked by Warehouse Prestwich are part of a bedroom furniture collection and bedroom drawers, chests and dressings are available to match. 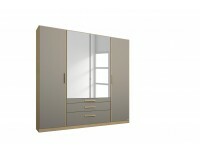 Some wardrobes are designed with built in drawers, others have hooks, bars, shelves or an area for baskets. Most designs include a combination of these to offer an abundance of storage options for every home. Although a wardrobe is most often used in the bedroom they can be much more flexible than you might think, there are other areas of the home that can benefit from more storage. Wardrobes on the landing or in a bathroom are perfect for storing sheets, towels and blankets. We all know how cluttered hallways and utility rooms can get, imagine how nice it would be to be able to put eveything in a wardrobe and close the door! Even in the garage you may find it useful to be able to store motorcycle, bike, or outdoor activity clothes and boots. 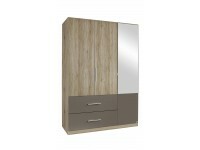 In addition to offering a large selection of wardrobes, we also have prices that will not bust your budget. Our goal is to make your shopping experience pleasant in every way. At Warehouse Prestwich we despatch wardrobes to the 4 corners of the UK but if you are looking for wardrobes in Manchester why not come and have a browse through our showroom and chat the the team. Whether you are just beginning your search for a wardrobe, or you are ready to buy we'll be on hand to assist you every step of the way. For more information on wardrobes in our bedroom furniture collection feel free to contact us on 0161 773 8625 or email us: info@warehouseprestwich.co.uk . We would love to meet you so please come and have a long look around our extensive showroom and see what Warehouse Prestwich has on offer for you. Great customer service is important to us, so we are always here for you. Give us a call with any questions, comments or concerns, or stop in to take a look at the different wardrobes and other products we have available. With the addition of a wardrobe, you can enjoy more storage and a better organized home.